There is nothing that Duck Holiday likes better than a classic novel (with the possible exception of a glass or two of very good quality beer). Eastern and Central Europe have produced their fair share of great writers and the time has come for a brief foray into the literary world. These things are, of course, largely subjective. One person’s great novel is another’s unreadable bilge, but everyone has their own favourites and the following selection of works represent a mere handful of the preferences within the duck house. Joseph Conrad was born in 1857, in a Russian-occupied part of Poland. His Polish nationalist parents were persecuted by the Russians and died while their son was still a child. He left his native land when he was 17 and lived in France before joining the British merchant navy four years later. He was to spend some 20 years as a sailor. Conrad, then, was a man who understood fully the concepts of colonialism and alienation. Not surprisingly, these facets loomed large in many of his novels and short stories (a wonderful example is to be found in his story Amy Foster, a deeply moving tale of the isolation of an Eastern European sailor stranded in England). Nowhere better are the themes explored than in Heart of Darkness, published in 1899. Some modern critics have suggested that the novel is racist, but surely its message is the precise opposite. Conrad experienced first-hand the grasping brutality of colonialism – Belgian, in this case – during his own visit to the Congo in 1890. He was no imperialist; his own early experiences were to shape his outlook. Conrad is a sardonic observer, all too aware that the so-called civilizing Europeans in Africa were little more than rapacious profiteers. Modern-day readers should bear in mind when the novel was written and place it in its proper historical context. Yes, there are words used that are completely unacceptable nowadays, but one should remember that they were current usage at the time. It is a grave mistake to apply 21st-century thinking to 19th-century literature (or, indeed, any other form of art). With that in mind, Conrad’s work should be seen as radical, a work that challenges imperialism rather than reinforcing it. Nor should it be overlooked that Conrad was writing in a language that was not his first (nor second or third, for that matter). 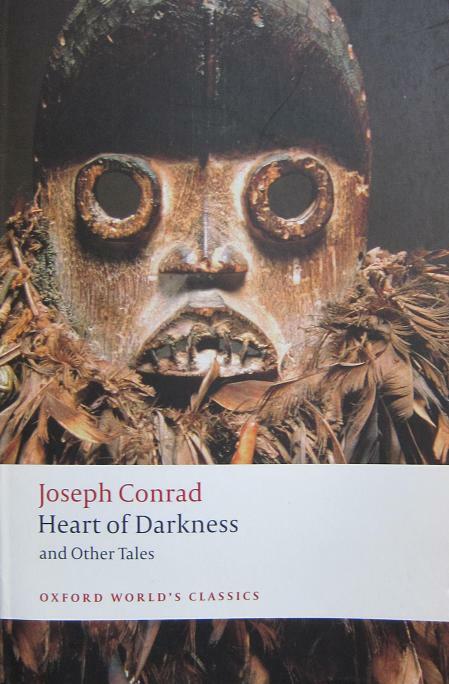 Heart of Darkness deserves its place among the classic works of 19th-century literature. It is only a select few writers whose names leave an adjective behind – Kafkaesque in the case of Franz Kafka – and this fact alone tends to demonstrate the uniqueness and importance of such writers. 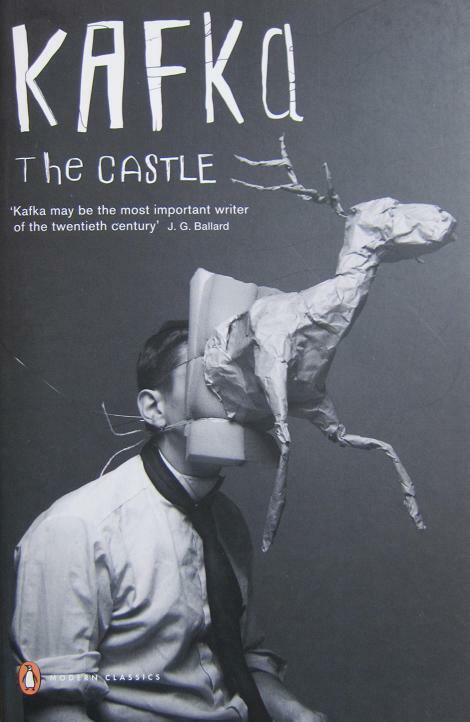 Kafka’s characters, like Josef K in The Trial, find themselves in situations they cannot comprehend and which are beyond their control. Likewise, in The Castle, the character known only as K (that letter again!) is left bewildered, caught in a labyrinth from which he cannot escape. He cannot gain admittance of the mysterious castle at which he is supposed to be employed, nor can he go home. His world is populated by bureaucrats and administrators whose sole purpose appears to be to make his life difficult. When we finally see inside the castle, we witness people moving documents from one place to another, only to move them back to their original position. Those of us who have passed some of our years as civil servants can only smile wryly. Franz Kafka was born in Prague in 1883 and died from tuberculosis in 1924. We are fortunate that his works still exist. Shortly before his death, he asked his friend, Max Brod, to ensure that all his writings be destroyed. Fortunately, Brod felt unable to carry out this request and The Castle, along with The Trial and several other works, was published posthumously. In 2001, The Guardian published a list of the 100 Greatest Works of Fiction of all time. A number of writers, such as Gabriel Garcia Marquez, were represented twice. William Shakespeare had three entries. The only four-timer, however, was Fyodor Dostoevsky. Though born in Moscow, Dostoevsky spent much of his life in St Petersburg and his writing is irrevocably linked with that city. He also spent ten years in prison, a fate suffered by not a few Russian writers. He was, in fact, sentenced to death by firing squad, but this was commuted to penal servitude in Siberia. It is extraordinary to think that had the original punishment been carried out, there would have been no Crime and Punishment, no The Idiot, no The Possessed and no The Brothers Karamazov. The first of these is undoubtedly the best-known work, but The Possessed is a dark and powerful novel, one based on the true story of a young revolutionary murdered by his comrades. Dostoevsky was in a good position to understand the circumstances; it was because of his youthful revolutionary ideals that he was imprisoned in the first place. Though Dostoevsky writes from the more conservative standpoint he adopted later in life, The Possessed should not be viewed as reactionary. It provides a chilling preview of 20th-century totalitarianism and anyone who has ever belonged to a small political party will recognise the factionalism and in-fighting that seems almost inevitable in such a grouping. 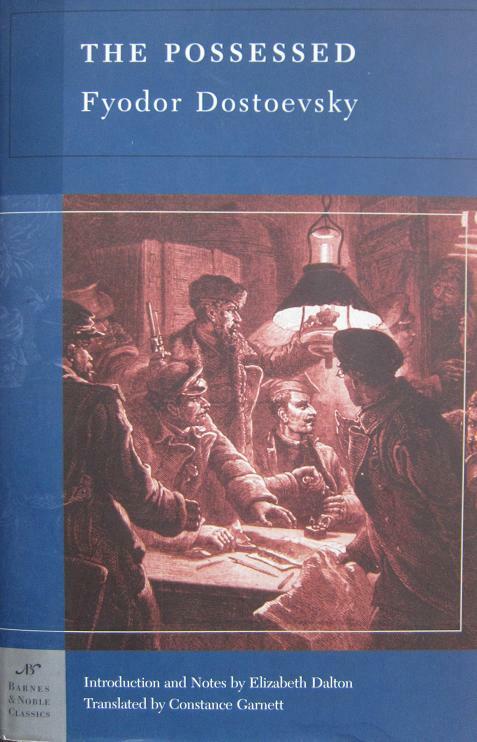 A rather gentler dispute between Russian and Ukraine than the current conflict concerns the writer Nikolay Gogol. Gogol was born in Poltava Province, now part of Ukraine, but in Russia when Gogol was born in 1809. Being of Ukrainian and Polish ancestry, Gogol could not be described as a truly ‘Russian’ writer and indeed spent much of his short life in Western Europe. 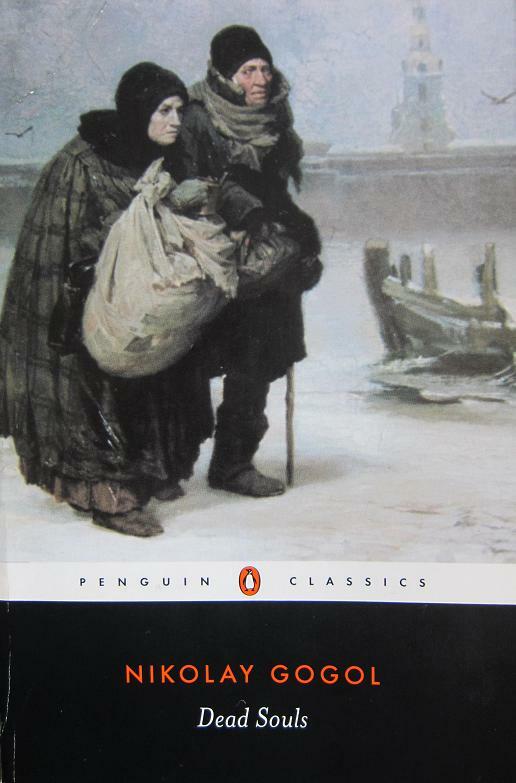 A troubled man who suffered both mental and physical problems, Gogol died at the age of 42, but left behind one of the great 19th-century works in the shape of Dead Souls. The souls in question are those of dead serfs, still current on census rolls, whose names are steadily bought up by the mysterious Chichikov. The idea is that the owners of the serfs will not have to pay tax on them and that Chichikov can present a long list of ‘his’ serfs to the authorities so that he can re-invent himself as a gentleman landowner. If the plot sounds absurd, that is because it is. The cast of characters is no less absurd, full of chancers, conmen, windbags, fantasists and liars. The novel mixes down to earth reality alongside utter surrealism. Imagine Sterne’s Tristram Shandy being relocated to Russia and given a few further odd twists. Gogol does not have the status of Dostoevsky, nor does he leave such a substantial body of work, but one can see the influence of Gogol on his younger contemporary in his scathing satire as well of his use of location. Try to imagine Ulysses being transferred to Vienna, but spread over several months rather than a single day, take away a few of the bars, shift the characters up a few social notches and you might begin to form a picture of Robert Musil’s gargantuan work. Born in Klagenfurt in 1880, Musil studied science and philosophy before embarking on a short-lived military career and pursuing a life in writing after the publication of his first novel in 1906. It is, then, no coincidence that the central character of The Man Without Qualities, Ulrich, is (you’ve guessed it) a former soldier, scientist and philosopher. 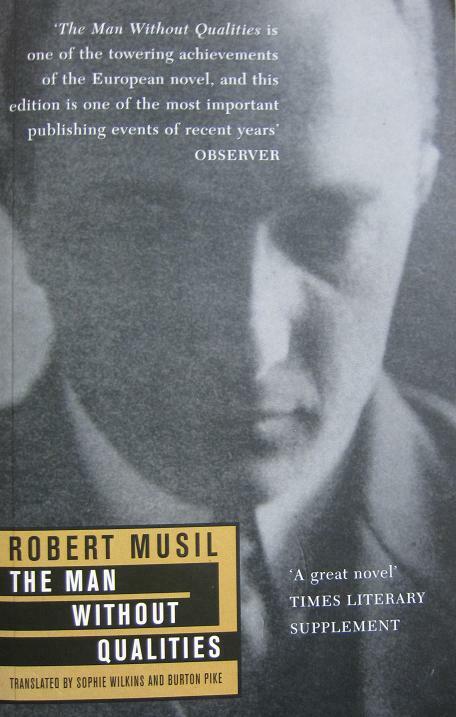 After serving in the First World War, Musil devoted much of his life to his masterwork and indeed the book remained unfinished. Quite how far he would have taken it is difficult to imagine. The action – though there is not a great deal of ‘action’ – is set in 1913, with the great, good and not so good of Viennese high society trying to devise ways of celebrating the 70th jubilee of the Emperor Franz Josef. In the midst of it all, but somehow aloof, stands the hero/antihero Ulrich. The novel veers between satire, social observation, stream of consciousness and philosophical debate as ‘the man without qualities’ watches the intrigues, plots and one-upmanship revolving around him. The book, not surprisingly, was banned by the Nazis and Musil managed to escape to Switzerland in 1938, living there until his death four years later. 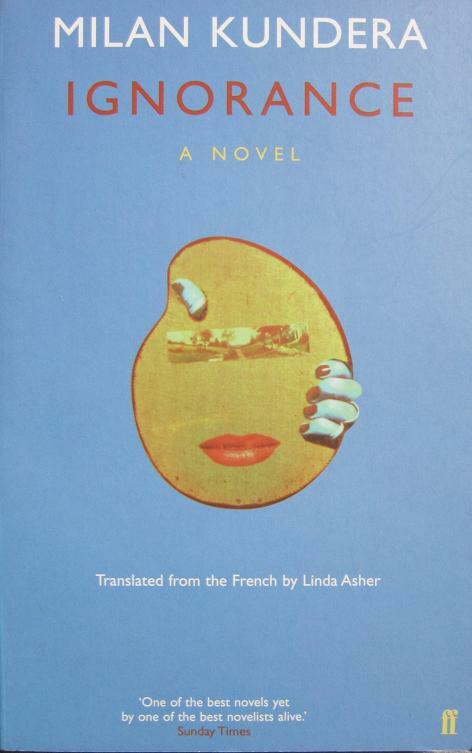 While this is not Kundera’s best-known work – The Book of Laughter and Forgetting and The Unbearable Lightness of Being would vie for the title – it is a book that has special significance for this writer. The novel was a central part of a dissertation in which the student was required to choose one work of fiction and one non-fictional work to compare and contrast literary styles. Kundera’s beautiful prose made the assignment much easier for this particular student. Remarkable, then, that the original was written in French, Kundera’s second language. He was born in Brno, then in Czechoslovakia and now in the Czech Republic, but has spent much of his adult life in France. Thus there is something of an autobiographical feel to Ignorance, whereby Irena, a Czech émigré resident in France, returns to her homeland after the end of the Communist era. The result is a moving novel full of nostalgia, memories – both real and imagined – and, indeed, a certain amount of laughter and forgetting. Like Joseph Conrad, Kundera knows only too well the pain of exile and like Conrad, is able to express all its attendant emotions in a language not his own. This entry was tagged Austria, Czech Republic, Literature, Poland, Russia, Ukraine. Bookmark the permalink.